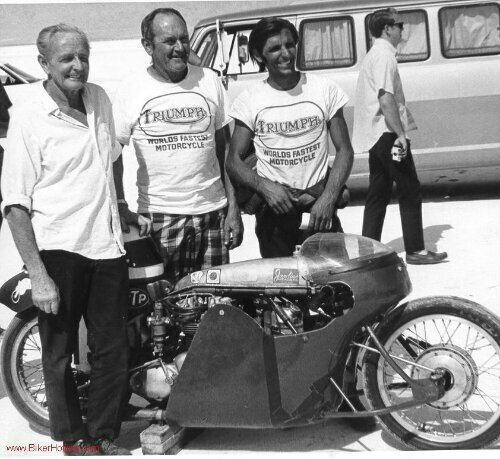 Burt Monro left (for it is he), Bud Hare, center, and rider Jeff Gough at The Salt with one of Bud’s center hub steering Triumphs, obviously looking for a good run top speed. This is a triple and would see close to 170 mph. Mad? You betcha. Mad and fast as a Hare! 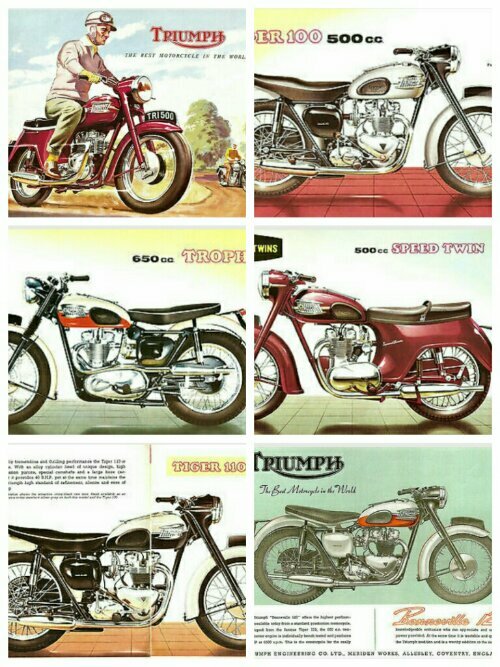 An early sixties Triumph model brochure shows off their available models. This technical airbrushed illustrations was typical of the time. 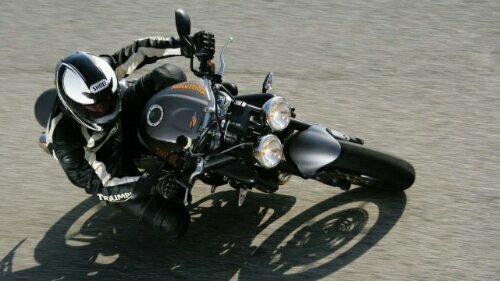 It shows off the details of the bikes well. ..whether the road may go! 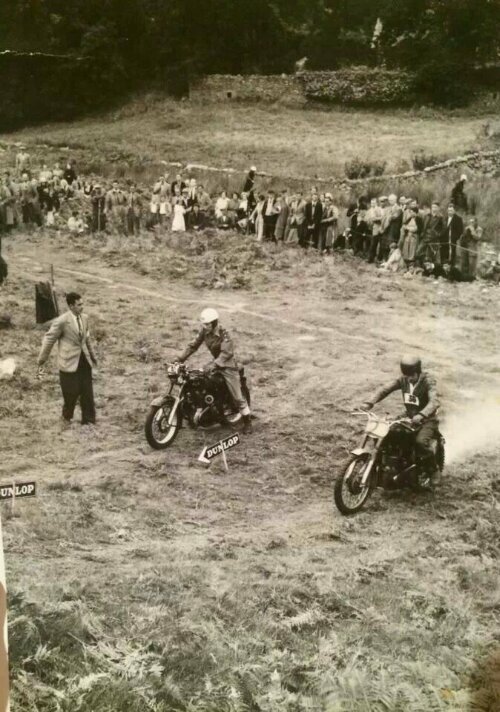 Here’s an old photograph of a hillclimb race in the fifties. It is up one of the grassy valleys amongst the foothills of the Cheviots in North Northumberland. I grew up here and spent summer days riding my bicycle up and down these tracks. 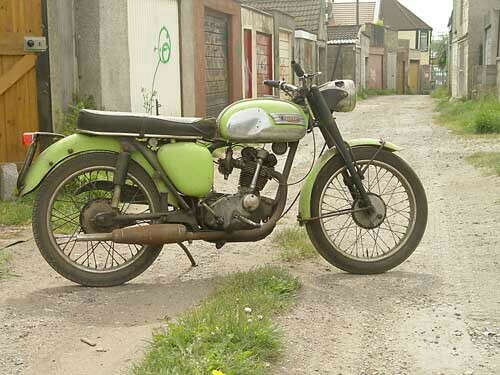 Great to know there was motorcycling history here. Okay! Bolting parts of the frame together. A little bit of a dry-run a some new nuts and washers are required. But taking shape nonetheless. A lot more straight forward than the Bonnie. Also a better workshop and tool setup helps too! The rear sub frame bolts on at the swingarm spindle bolts and the upper frame seat/tank junction. 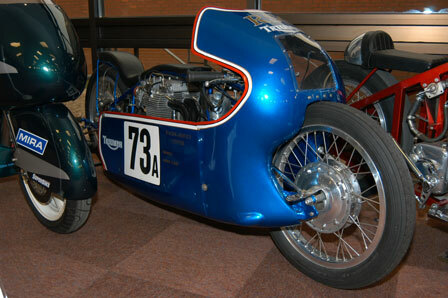 Lower footpeg and side stand brackets attach here too. The swingarm is temporarily suspended. Measuring for a new set of stainless nuts bolts and washers. All Whitworth thread too. Make sure you scrub behind the ears! The oily finish old British moto engines can get sometimes need a wash down to let it sparkle. 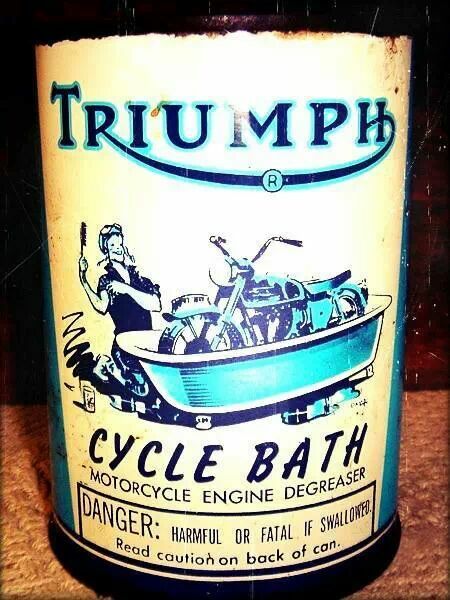 A period can of degreaser shows off a bath bound Triumph getting brushed down. Nice two color print graphic. 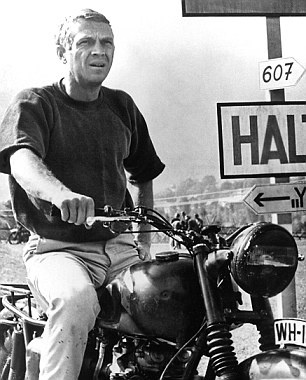 Our Steve McQueen would have been 84 today. 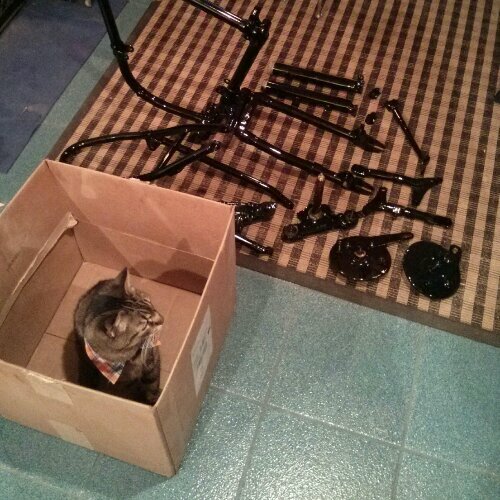 Frame and fork components were returned today in splendid gloss black powder coated finish. 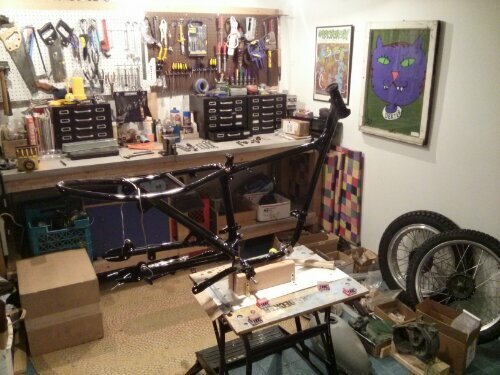 All slick and span and ready for chassis assembly. 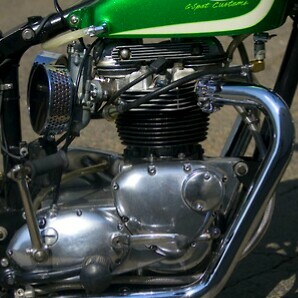 The work was carried out very capably by JTS Coatings & Cycles in Lakemoor IL. 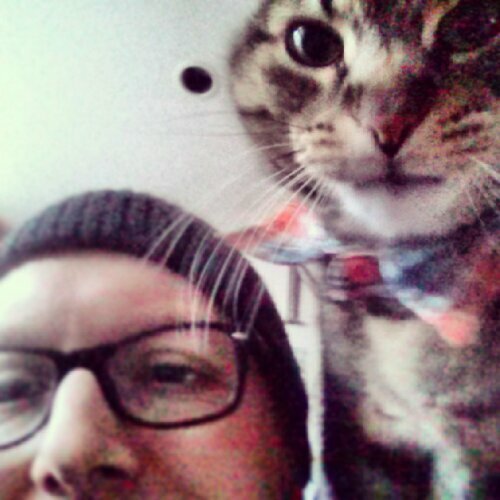 Charley the Quality Control Cat looks on approvingly. He doesn’t miss a trick! The original tire was a heated steel hoop quench-shrunk onto the wooden wheel. The anglicized tyre was a 20thC spelling only used in Britain. Tire is the standard spelling. 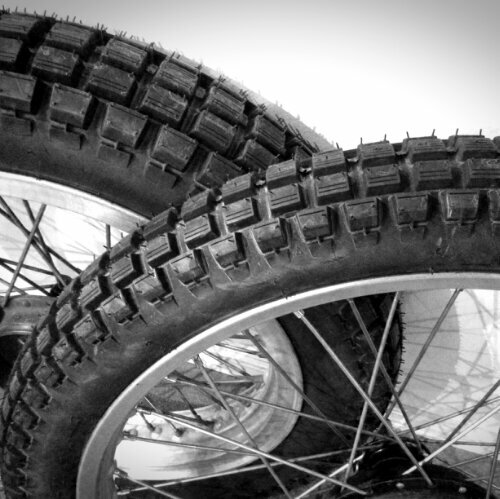 Scotsman John Dunlop invented the rubber pneumatic tire, further developed with galvanizing by Charles Goodyear. 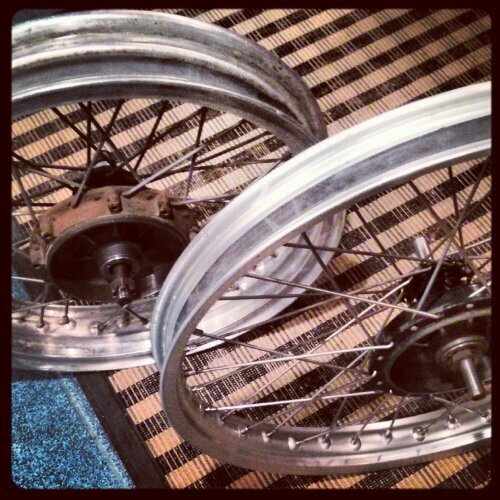 Now my Cub wheels are shod with lightly knobbled trials boots. Something complete for the project! If you shout loud enough… You’ll get a little hearse! 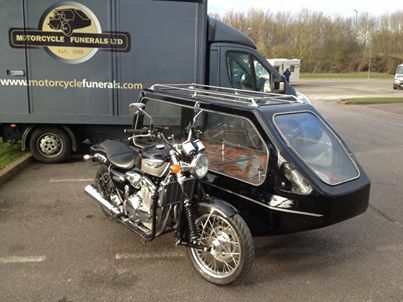 What better way for the conveyance of a casket for a motorcyclist that a hearse combination. 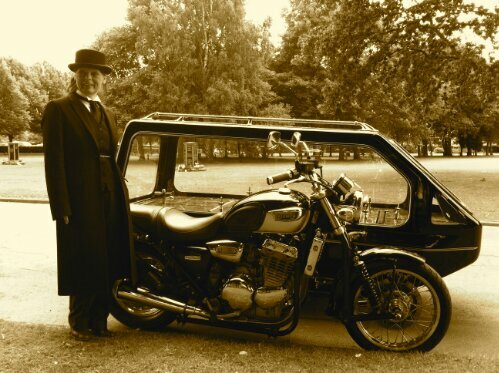 Motorcycle Funerals have just that outfit with glass surrounded car being driven along by a appropriate 900cc Triumph Adventurer. A handsome thing giving dignity to the departed. 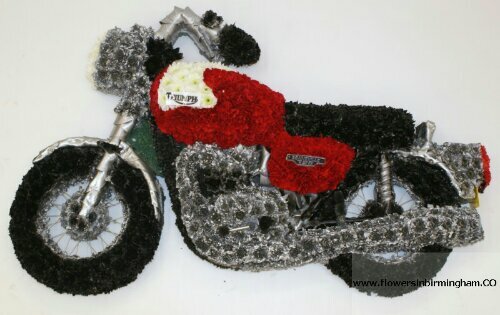 ..and a wreath for memorial? We have just the ticket for you sir… Poppy red Bonneville. 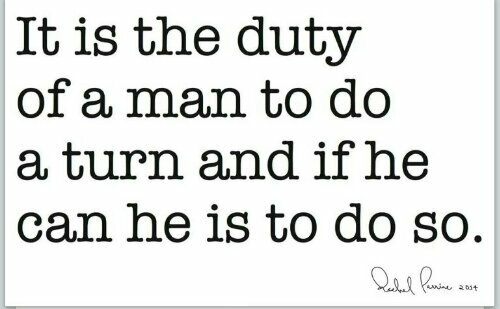 This was of course written at the onset of that hideous war and before the loss of innocence of a country, continent and world. But it’s a fine poem nonetheless. An aside note: Chicago, IL once operated 3 different funeral trolley cars over the elevated tracks in downtown Chicago to outlying cemeteries in the western suburbs. A special funeral bureau handled the funeral trains which sometimes operated 3-4 funeral trains a week over the ‘L’. Me? I’ll pick the motorcycle any day! Spring arrived today with a dusting of airborne snow, but a promise of warmth emerged with a bright afternoon sun. Can nicer weather be on the horizon? Hope so. 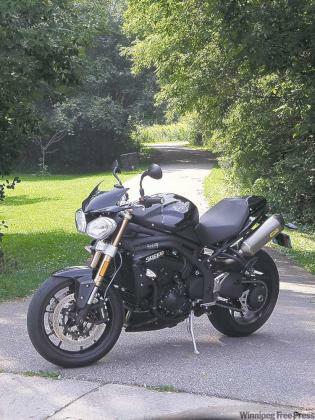 In the meanwhile here’s the magical Speed Triple in lush greenery. 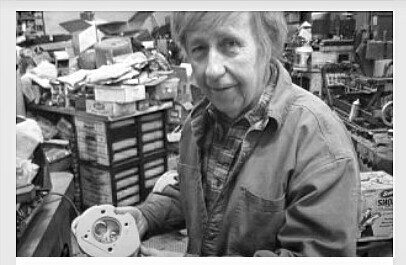 I picked up my cylinder head and barrel today from The Machine Shop, a little hidden gem in Rogers Park where Bud Clements works his time honored magic on engine parts old, new, common and esoteric. He rebored the cylinder to receive the new 60 over piston and cleaned, set new guides, and lapped seats for a pair of valves too. He knows his stuff down to the micron. The great convergence is upon us! Pair if wheels ready to roll. The front was finally trued and spoke excess ground off. Rubber rim strips installed and they’re awaiting the tires to be shoehorn’d on. 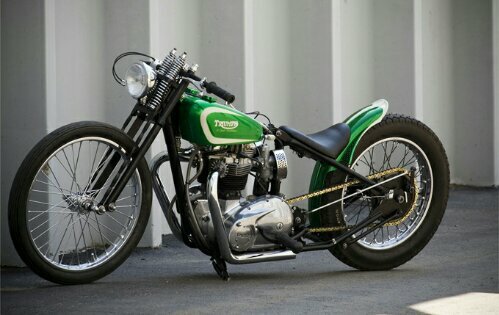 Low Rider lightweight bobber from a custom JJ ‘shop in Denver CO. Apple green and a smatterin’ of blarney details to celebrate St Paddy’s day. Not my glass of Guinness but a finely crafted tool for smooth roads and a straight line nonetheless. B’gorrah look at that shiny engine!